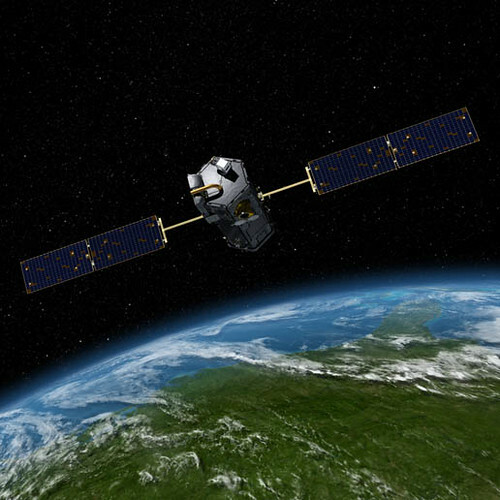 NASA’s Orbiting Carbon Observatory satellite failed to reach orbit after its 4:55 a.m. EST liftoff Feb. 24 from California’s Vandenberg Air Force Base. The spacecraft did not reach orbit and likely landed in the ocean near Antarctica, said John Brunschwyler, the program manager for the Taurus XL. 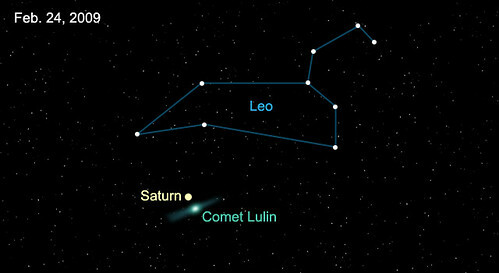 The comet makes its closest approach to Earth (0.41 AU) on Feb. 24, 2009. Current estimates peg the maximum brightness at 4th or 5th magnitude, which means dark country skies would be required to see it. No one can say for sure, however, because this appears to be Lulin’s first visit to the inner solar system and its first exposure to intense sunlight. Surprises are possible. Lulin’s green color comes from the gases that make up its Jupiter-sized atmosphere. 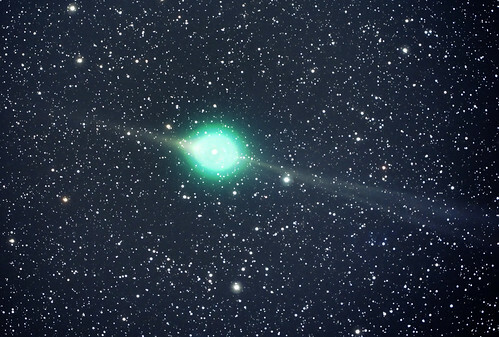 Jets spewing from the comet’s nucleus contain cyanogen (CN: a poisonous gas found in many comets) and diatomic carbon (C2). Both substances glow green when illuminated by sunlight in the near-vacuum of space. Can’t get out or can’t see? No worries: Gregg Ruppel of St. Louis has some great images. Yo, Rocco’s back. Lots of interesting stories since I last blogged here. Last week’s item almost had me blogging. Now that RRS has a new editor, I’m back as the lead blogger. 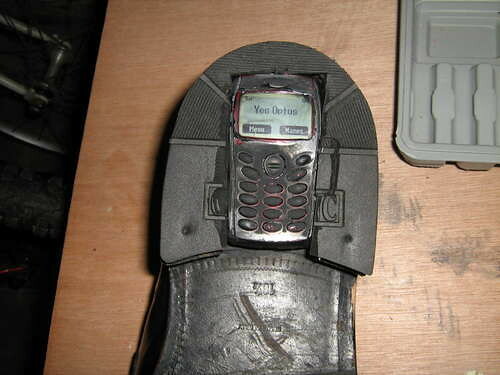 The entire world has been waiting for decades with baited breath for the arrival of real, working shoe phone technology. You find that hard to believe? Would you believe that someone, somewhere, has been occassionally thinking about shoe phones? Well, the shoe phone finally lives, as you will discover below, and as you can hear for your self, here or here, or listen to an ABC interview which gets interrupted by the shoe phone ringing. 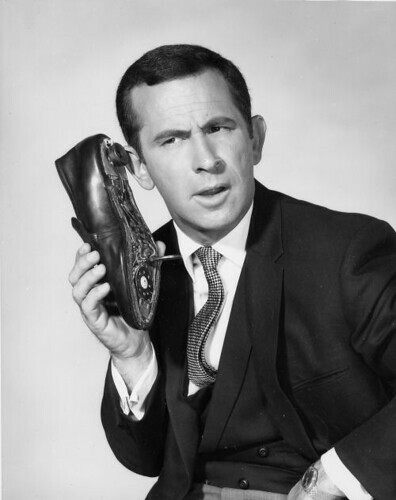 Listen to a radio interview conducted by shoe-phone!